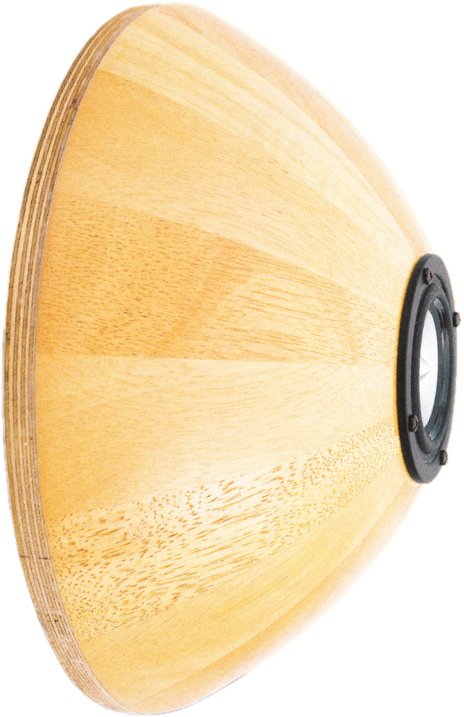 Bamboo 3 is a small wall-mounted loudspeaker that employs a Tang Band fullrange loudspeaker W3-871B. Bamboo 3 has been developed by Marko Krause and Bernd Timmermanns. The crossover consists of a LRC notch filter wired in series. The wave trap reduces the level between 2 and 4 kHz. In addition as series capacitor to protect the loudspeaker from too much bass. In parallel to the full range driver an absorption circuit is arranged. 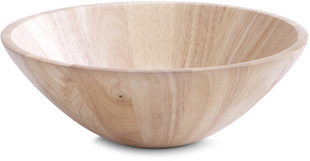 Below 200 Hz Bamboo 3 should be supported by a subwoofer. The high-end kit comes with two Audaphon MKP CAP superior capacitors. Two of the inductances are baked varnished coils for minimizing microphonic effects. - The current flow through the coil creates a magnetic field which sets the reel of wire in motion. This motion induces a voltage in the coil which adds itself to the signal. The stiffer the reel of wire is, the less the signal will be altered.